After months of teasing, Jordan Brand finally dropped off the Travis Scott x Jordan 1 Retro High OG NRG “Cactus Jack” on Nike SNKRS during his 2019 GRAMMY performance. After the performance the shoes became available on the exclusive platform which then caused a widespread suspension of service on Nike’s website. [Laughs] Yo! These sold out in less than a minute no lie! 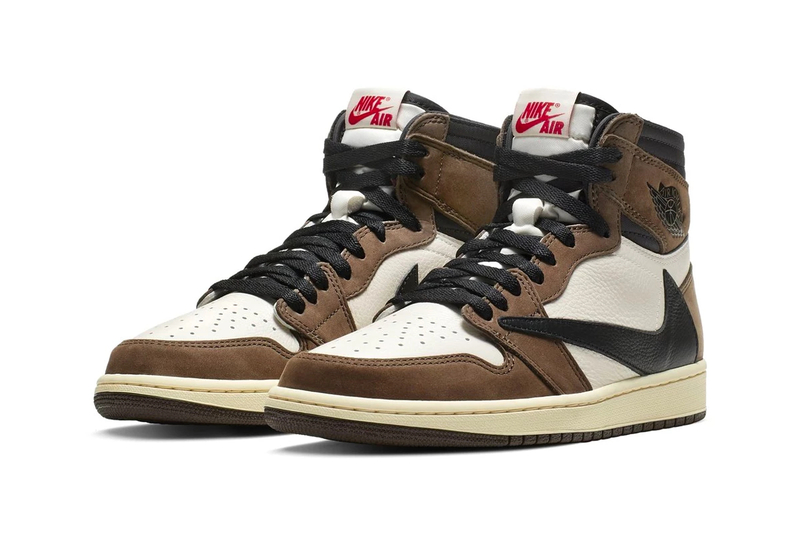 On these one Travis Scott brought some features that mix of earthy brown nubuck and white leather accented by an interesting backward Swoosh design. Another unique detail comes in the form of a hidden stash pocket at the stitched ankle collar. Cactus Jack heel embossing, retro Nike Air tongue tags and mismatched insoles serve as additional branding elements. Finishing up the design of the shoe is an off white midsole and dark brown rubber outsole.